Sligo University Hospital has been shortlisted for two Pakman Awards under the ‘Professional Services Award’ and ‘Waste Prevention Business Award’ categories. The Pakman Awards - previously the Repak Recycling Awards - are national awards that recognise excellence in waste management and recycling among businesses, organisations and community groups in Ireland. 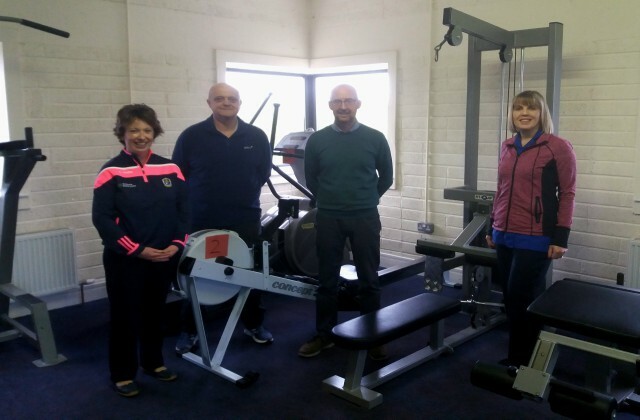 The Cardiac Rehabilitation Team at Sligo University Hospital has been shortlisted for the Irish Healthcare Awards under the ‘Sustainable Healthcare Project of the Year’ category. 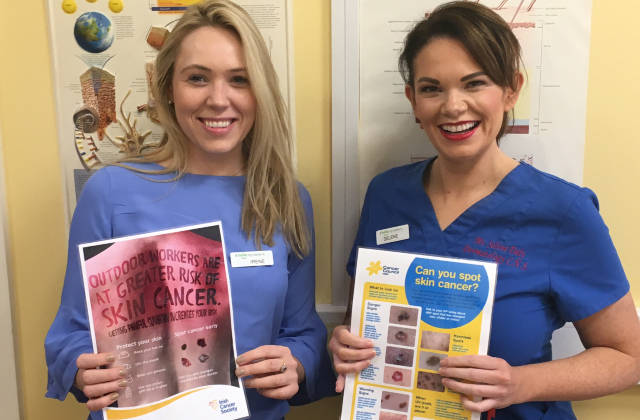 Experts from the Dermatology Department at Sligo University Hospital will be at the HSE Stand at the National Ploughing Championships from 18 to 20 September to offer skin cancer information to visitors. 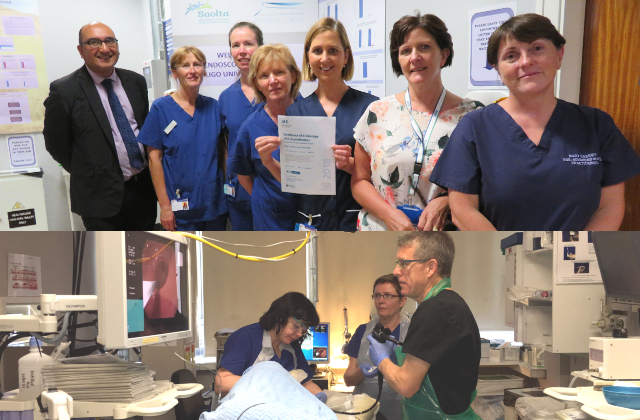 Last month, following completion of an in-depth accreditation checklist and site assessment, the Endoscopy Department at Sligo University Hospital was successfully awarded accreditation through the UK based accreditation programme for Gastrointestinal Endoscopy known as the Joint Advisory Group or JAG. The JAG accreditation is regarded as one of the most innovative in the healthcare sector and focuses on a model of care which is patient-centred and work force based. 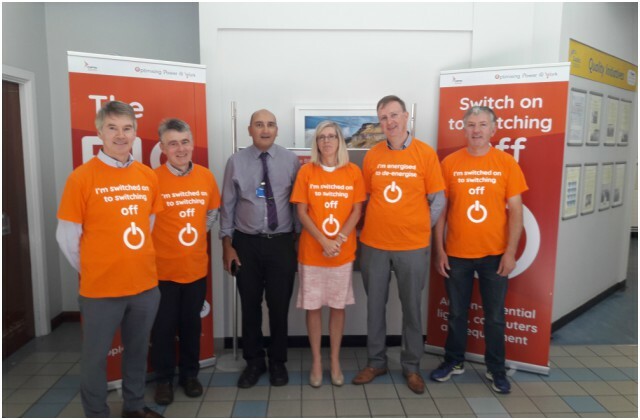 Over the August bank holiday weekend, Sligo University Hospital took part in the “Big Switch Off” organised by the Office of Public Works and the HSE’s National Health and Sustainability Office. The aim was to conserve as much electrical and thermal energy as possible across the campus over the weekend and the efforts will be repeated over the October bank holiday weekend. 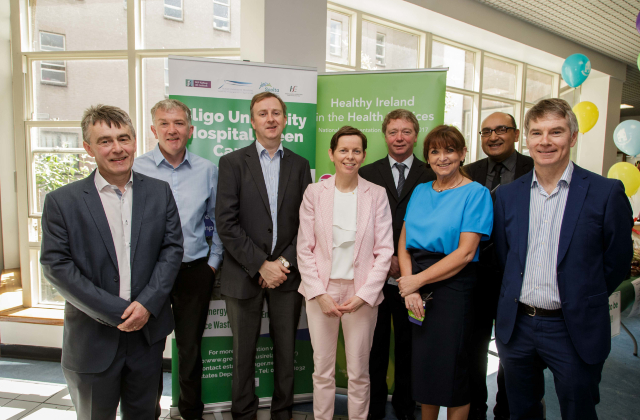 Saolta University Health Care Group (formally West/North West Hospitals Group) is one of six new hospital groups announced by the Minister for Health, Dr. James Reilly TD in May, 2013, as part of a re-organisation of public hospitals into more efficient and accountable hospital groups that will deliver improved outcomes for patients. The Group's Academic Partner is NUI Galway. By working in groups, hospital services will be provided by the hospitals in each group based on the evidence-based needs of their populations. Each group of hospitals will work together as single cohesive entities managed as one, to provide acute care for patients in their area, integrating with community and primary care. This will maximise the amount of care delivered locally, whilst ensuring complex care is safely provided in larger hospitals. Saolta University Health Care Group has 1,770 beds and 7,620 staff and a budget of €600m. Patients are at the heart of everything we do. Our mission is to provide high quality and equitable services for all by delivering care based on excellence in clinical practice, teaching, and research, grounded in kindness, compassion and respect, whilst developing our staff and becoming a model employer. Our Vision is to build on excellent foundations already laid, further developing and integrating our Group, fulfilling our role as an exemplar, and becoming the first Trust in Ireland. Respect - We aim to be an organisation where privacy, dignity, and individual needs are respected, where staff are valued, supported and involved in decision–making, and where diversity is celebrated, recognising that working in a respectful environment will enable us to achieve more. Compassion - We will treat all patients and family members with dignity, sensitivity and empathy. Kindness - Whilst we develop our organisation as a business, we will remember it is a service, and treat our patients and each other with kindness and humanity. Quality - We seek continuous quality improvement in all we do, through creativity, innovation, education and research. Learning - We will nurture and encourage lifelong learning and continuous improvement, attracting, developing and retaining high quality staff, enabling them to fulfill their potential. Integrity - through our governance arrangements and or value system, we will ensure all of our services are transparent, trustworthy and reliable and delivered to the highest ethical standards, taking responsibility and accountability for our actions. Teamworking - we will engage and empower our staff, sharing best practise and strengthening relationships with our partners and patients to achieve our Mission. Communication - we aim to communicate with patients, the public, our staff and stakeholders, empowering them to actively participate in all aspects of the service, encouraging inclusiveness, openness and accountability. These Values shape our strategy to create an organisational culture and ethos to deliver high quality and safe services for all we serve and that staff are rightly proud of.